Wilmot Sanz is proud to announce that long-time client Inova Health System was awarded a LEED Silver Certification by the United States Green Building Council (USGBC) for the new Inova Women’s Hospital and Inova Children’s Hospital in Falls Church, VA. Read more about the health system’s ongoing sustainable design and operational initiatives here. 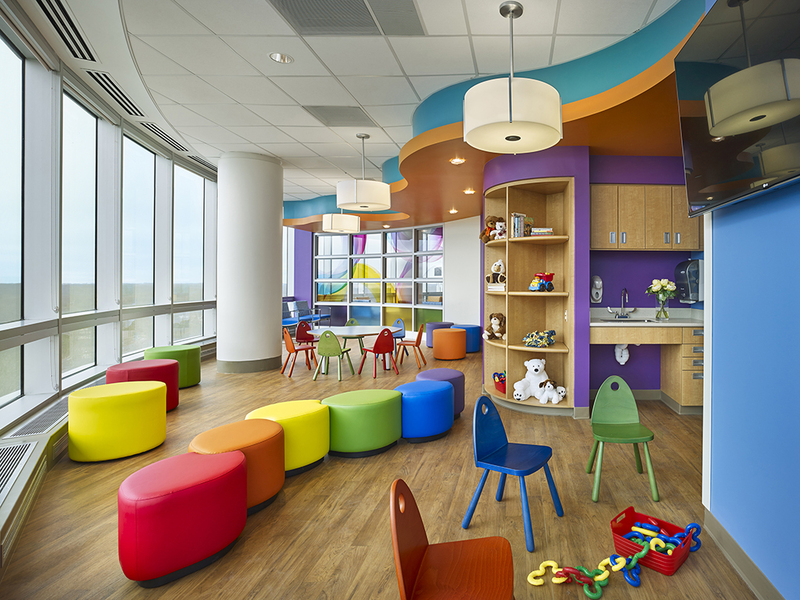 To provide a relaxing atmosphere for patients and create a warm, natural, and welcoming feeling, our design team took a creative approach to acoustics and noise-reduction in the Inova Women’s Hospital and Inova Children’s Hospital. This approach was featured in an Armstrong case study and video showcase. 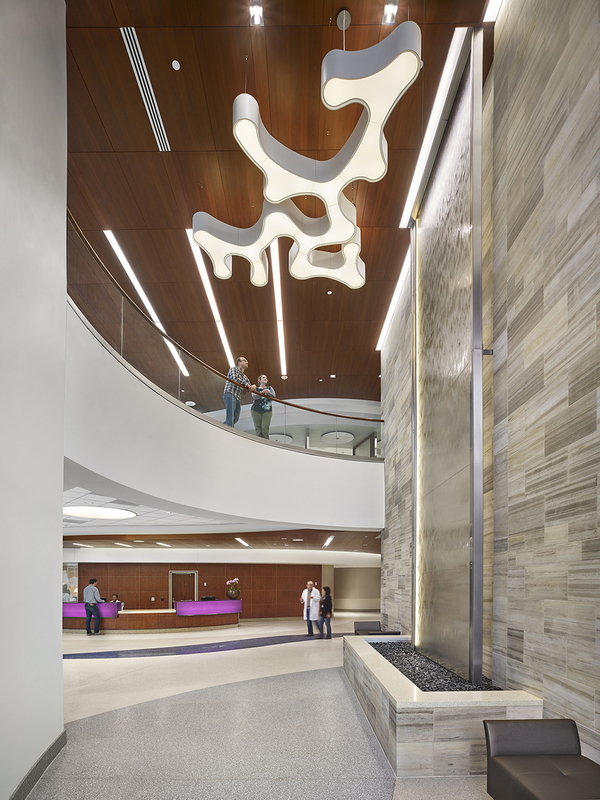 The Inova Women’s and Inova Children’s Hospital project is featured in the Healthcare Design magazine 2016 Architectural Showcase. The pediatric intensive care unit in the Inova Children’s Hospital has been awarded the Society of Critical Care Medicine’s (SCCM) prestigious 2017 ICU Design Citation Award. 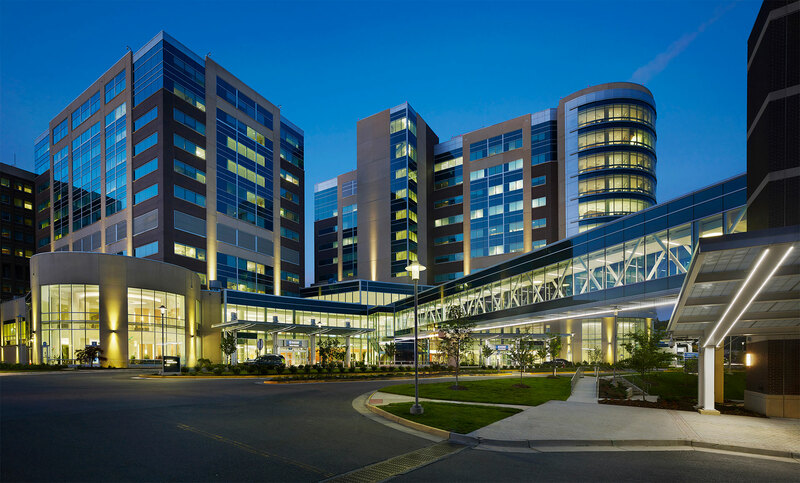 Also co-sponsored by the American Association of Critical-Care Nurses (AACN), and the American Institute of Architects Academy on Architecture for Health, the award recognizes excellence in addressing both functional ICU design issues with the humanitarian delivery of critical care in a unique and complimentary manner. 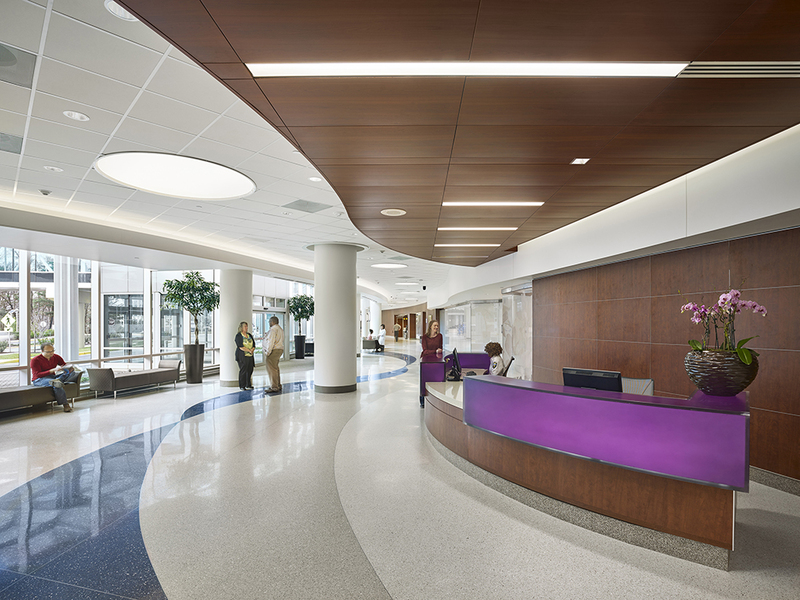 Another Wilmot Sanz project on the Inova Fairfax Medical Campus, the hospital’s North Tower Renovation, is among the Washington Building Congress 2016 Craftsmanship Award winners.